For more than 75 years Mason Construction Ltd. has been one of southeast Texas’ most trusted names in construction services. Specializing in industrial and civil construction projects, the family-owned and –operated company has established a reputation for trust and reliability over its long history. Founded by W.K. Mason in 1939 as a dragline contractor, the Beaumont, Texas-based company expanded into oilfield construction and excavation for the network of drainage ditches in the area in the 1950s. After losing a major customer, Mason decided to diversify its operations in the 1970s to focus more on other types of projects such as site work, road construction and asphalt paving. 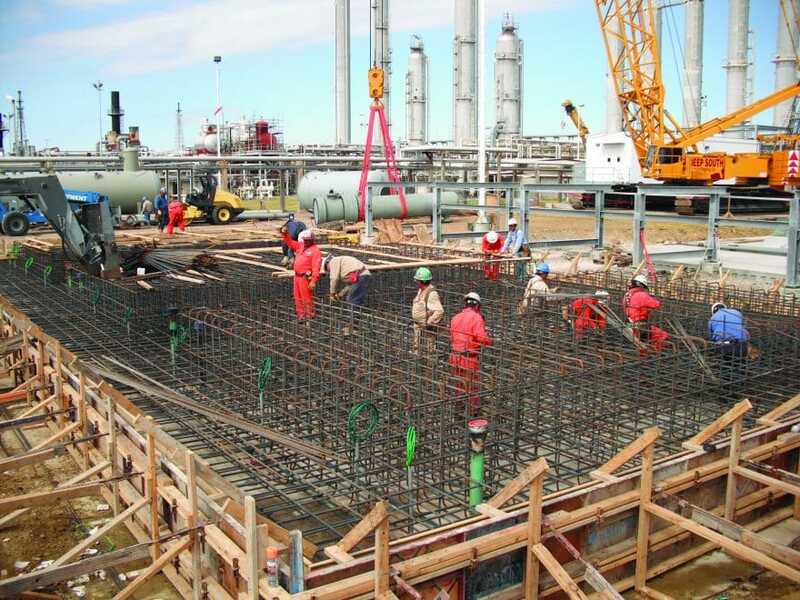 The focus on diversification extended into the 1980s and 90s when Mason re-entered the petrochemical market and purchased a structural steel erection company. A new piling operation launched in 2004 representing a major addition to the company’s slate of services, followed by hydroexcavation capabilities added in 2013. Mason now offers site work, concrete foundations, concrete and asphalt paving, structural steel erection, a variety of piling methods including auger cast, driven concrete, driven timber, sheet, helical and vibratory piling installation, as well as the recently launched hydro-excavation and environmental services. With close to 50 years of combined experience in the business, the three have performed almost every task imaginable in the business, from labor work in the field, to payroll, to scheduling and managing multi-million dollar projects. As Mason looks ahead to its eighth decade in business, it’s a well-familiar industry that Mason expects to drive growth. While the upstream petrochemical market has slowed down significantly in the last year, Chad expects it will rebound in the near future. “Downstream is starting to pick back up again, so it seems to be a pretty good outlook for the latter part of this year and next year,” says Chad, who expects the third quarter marked a turning point in the industry as consumer confidence begins to rise. “This will help drive oil prices up and get the plants to spend a little bit more money, which will cause a direct increase in our business,” he says. Mason was able to weather the recession and attendant construction slow-down thanks to a steady stream of petrochemical-related work. “The recession never really hit us as badly as it did others in the industry,” says Chad. Mason’s longstanding commitment to diversification bolstered the company’s ability to survive through lean economic times, such as the recent expansion into hydro-excavation. The method has become increasingly popular among clients looking to avoid the risk associated with typical excavation methods. Using hydro-excavation, crews employ a high-pressure sprayer and vacuum system to cut a small path without the risk of damaging any existing utility lines. The excavation method has become an increasingly popular niche in the industry, according to Chad. “We got into hydro excavation about three years ago. It’s the type of business that has been very common in upstream petrochemical but hadn’t been that common downstream. Soon after we got into it, the upstream market really slowed down and a lot of the contractors from the upstream market made their way into the downstream market,” he says. While this increased competition has presented some challenges, Chad is confident that Mason’s reputation within the market will allow it to develop a loyal customer base for this new service. Across the construction industry a lack of qualified workers is preventing some companies from experiencing the success they would like to see. The problem has been exacerbated by a lack of interest among workers of a younger generation, many of whom do not view construction as a desirable career option. Mason has been able to weather this difficult period thanks to its team of dedicated, long-serving employees, many of whom have encouraged their own children to join the construction company. “We’ve been pretty lucky because we have a lot of families working for us and several of our longtime employees now have their kids working for us too,” says Chad. Growing up in a family-owned and –operated company himself, Chad says the story of these second-generation employees mirrors his own experience with the company. “One of the benefits of having these family units working for us is that these kids have grown up in the industry and understand what it takes to be successful,” he says. As a trusted construction services provider with more than 75 years’ experience serving customers throughout southeast Texas and a recently expanded slate of services, Mason Construction Ltd. will remain a leader under incoming fourth generation family ownership.